Analytical modelling involves, generally speaking, a sophisticated mathematical system of equations, that do not always correspond to the exact turbocharger dynamic behavior that occurs during functioning. For a rigorous approach related to the turbocharger dynamic behavior a test rig validation is also necessary besides an analytical estimation . 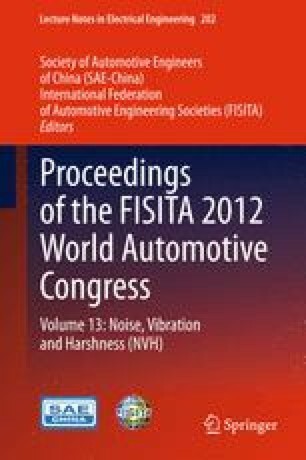 This chapter focuses on highlighting some aspects related to analytical modelling of turbochargers rotors. This modelling is further used to compare the results with the data sets obtained during test rig testing. This chapter is supported by the Sectorial Operational Programme Human Resources Development (SOP HRD), financed from the European Social Fund and by the Romanian Government under the contract number POSDRU/88/1.5/S/59321.